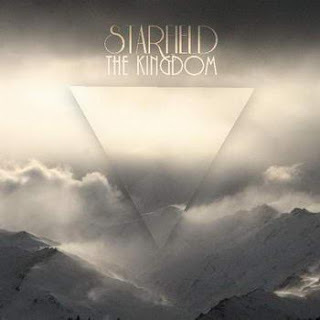 Although I'm a big Starfield fan, I didn't rush out this past Tuesday to buy the band's new independent release "The Kingdom". That was mainly due to the fact I was not a big fan of the title track, which to me was such a non-Starfield song that I reacted fairly negatively to it. My impression of the song didn't improve when I heard the band in concert last weekend at Break Forth. Curiously, that was the only song they played from the new album, which also didn't bolster my confidence that the new album was any good. I'm still undecided as to whether there is a song on this album as tremendous and anthemic as "Reign in Us", "Son of God" or "The Saving One." But that doesn't detract from some well-crafted, singable worship songs and a couple of really grinding rockers that I really like. At the moment, I think my favorite song on the album is Light of the World. My overall impression of The Kingdom is similar to Downhere's Altar of Love: this is an album that has to be experienced as the overall whole, and not just individual songs. So if you're undecided on this one, spend 45 minutes listening to it on YouTube and I think you'll be pleasantly surprised.